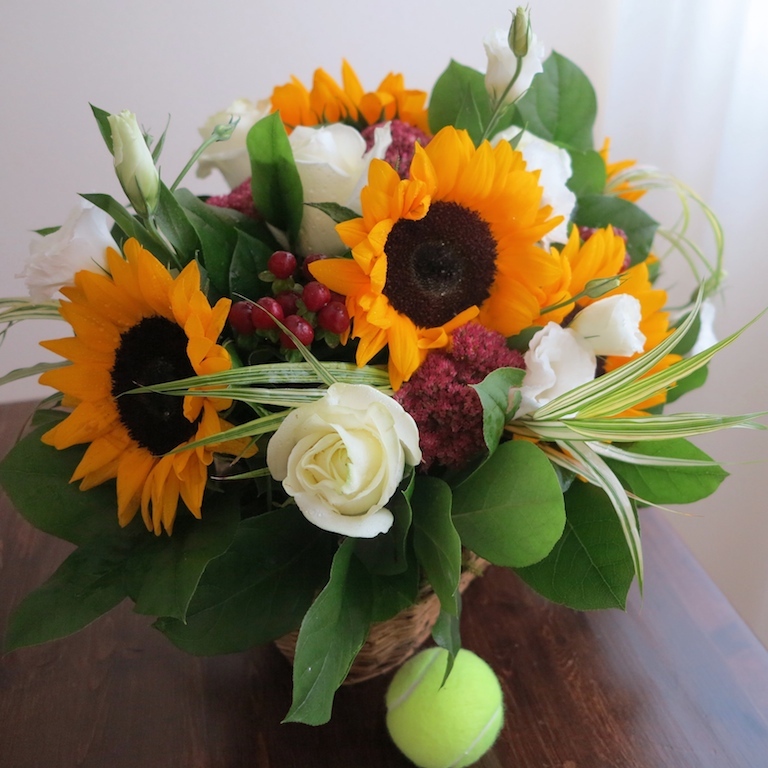 Yom Kippur bouquet of orange sunflowers, pink sedums, cream roses, white lisianthus & red hypericums presented in a basket. 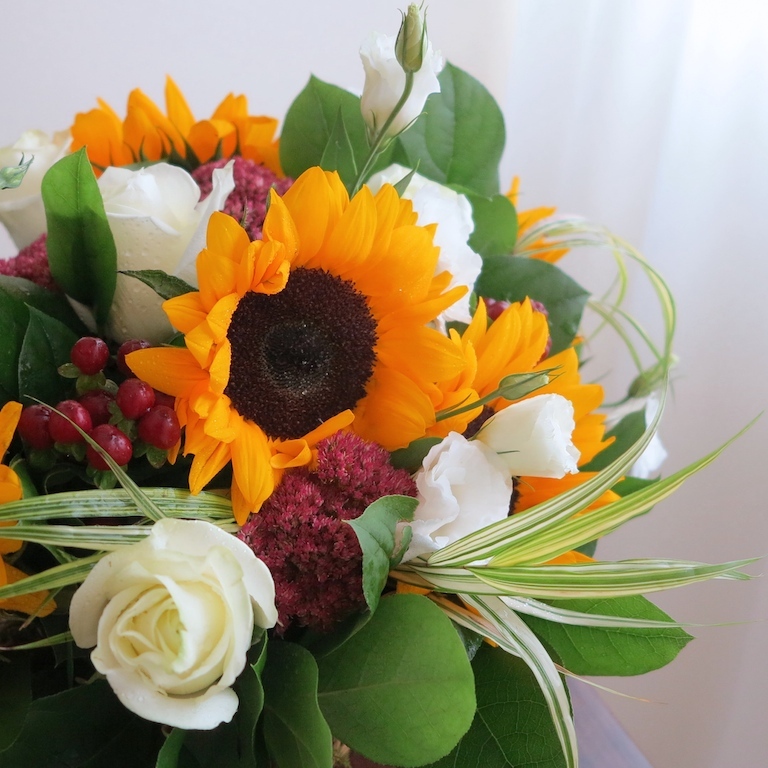 Warm floral gift just a click, tap or call away. Recommended as Yom Kippur, Halloween or Thanksgiving arrangement. Enjoy online flower shopping at local Toronto florist. If you need assistance please call our flower shop. We provide GTA & downtown Toronto flower delivery.